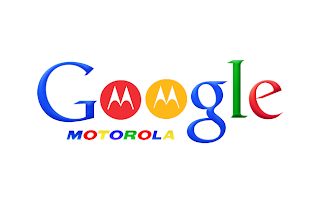 I watched some of the Motorola live event today on YouTube as I was not doing anything and it was refreshing for an American company to do one of these things at a time Europeans can easily watch too. Motorola announced three new devices at the event (people in the chat were annoyed it was not a Nexus device but Google themselves will be announcing those). They seem like nice devices but I'll never know really since they are only for Verizon and I'm Irish (also I'm a Nexus man). The new RAZRs were being sold on the idea that they are smartphones only as wide as necessary (very little bezel either side of screen basically). The RAZR HD has a 4.7inch 720p screen and a 1.5GHz dual core S4 CPU. The phone has a very big 2500mAh to help deal with your LTE usage. I have no experience of LTE/4G but 3G is pretty hungry so a massive battery can only be a good thing. The RAZR HD has a 4.7inch 720p super AMOLED screen and the same 1.5GHz dual core S4 CPU as the RAZR HD. The phone has a ginormous 3300mAh battery which would surely be good enough for at least a day of heavy use... right? The budget new member of the RAZR family (Verizon lady said it was $99) has the same CPU as the other new RAZRs but has a more manageable 4.3inch 960x540 screen. The one thing I can't stop looking at in the pictures is the huge vertical height of the hotseat/dock on the homescreens. If i was a prospective owner of one of these phones I would be making sure there is an option to fix it as it all looks out of proportion to me (the hotseat icons include the names underneath which I assume is why its bigger than normal). Motorola said "most" of its 2011 phones will be updated but here is the interesting part, people that own 2011 Motorolas that don't get updated to Jelly Bean will get $100 towards a phone upgrade instead. This might be a sign of Google's influence.